The year was 1972 and everything was perfectly normal. People sent text messages through snail mail, watched 3-5 local channels on broadcast TV. Movies on demand were viewed in theaters, mostly paid for things in cash at places called "retail stores" you had to physically get to, listened to music on tiny AM pocket radios with earphones and "downloaded" the latest pop singles from something called a "record store" on 7" polystyrene discs. Social media was done over the telephone. Perfectly normal. Computers as we know them today were mostly things you saw on science fiction TV shows and movies. And endless "World of Tomorrow" promotional films and magazine/newspaper articles. But in reality, most computers back then were giant, cumbersome mainframe things that took up a very sizable portion of a very large room. But at Xerox laboratories in Palo Alto, CA, a revolution was happening. 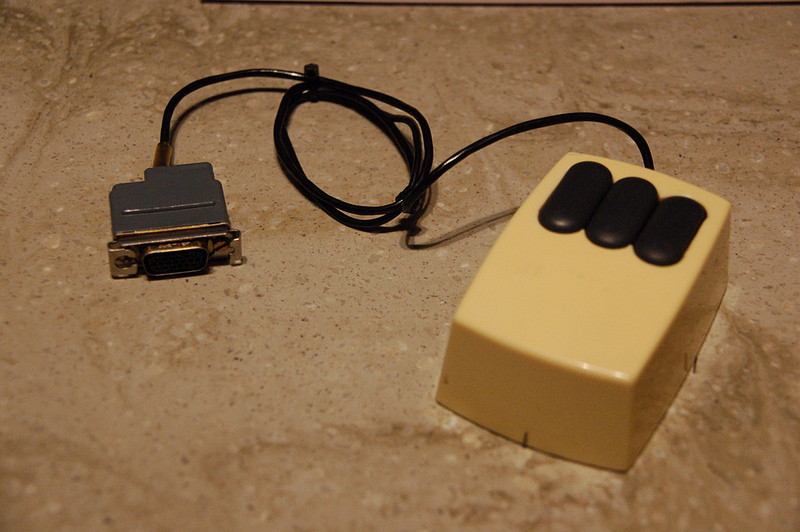 It was our second major step in what would become the modern PC of today. The first was the development of ARPANET by the US government for the military in 1969, the genesis of the modern internet. The second was the Xerox Alto. - The first word processing programs. - OfficeTalk, the first computer generated office forms system. - Support for many early computer programming languages. Oddly, there were no spreadsheet programs. The first, VisiCalc, wasn't invented until 1979. The Xerox Alto was destined to revolutionize the world. Or at least the 1974 TV commercial for it looked good. It first went on sale in 1973. So why didn't the Xerox Alto launch us into the internet age in the 1970s? Mouse for the Xerox Alto. First, it was far from perfected for average commercial home consumer use. So it never really left experimental status. Second, the price of one of these units was $100,000 in 1973 money. That works out to about $570,000 in 2019 money. The average 3 bedroom family home costed roughly around $25,000 in 1973. Third, only about 2,000 were made. And finally, only high end computer labs, corporations and government were able to get an Alto. Or afford one. 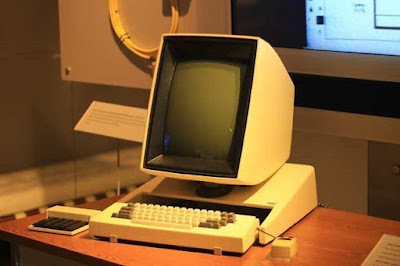 But it left an impression on Apple's Steve Jobs, who visited Xerox in 1979 and quickly began to design a system that would first be called the Apple Lisa, then the Macintosh (or Mac) which was the first home computer to incorporate a GUI interface and mouse. Jobs also hired away several key Xerox employees to help design his system. 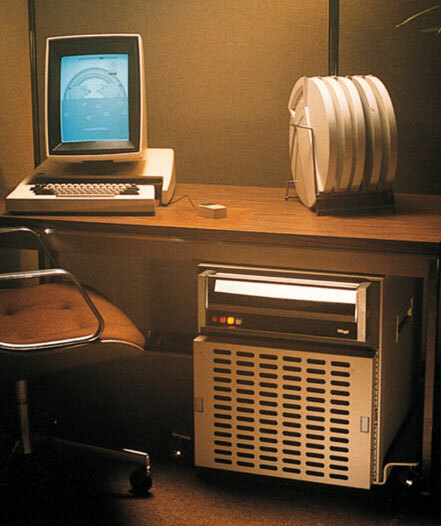 Xerox also got into the home computing game in 1981. But their lowest price home computer, the Xerox 820 lacked the GUI interface and mouse of the Alto. It was a major opportunity squandered in favor of a lower consumer price and manufacturing cost. But home computing was still a comparatively rare (and very expensive) thing. And would be throughout most of the 1980s. And by the time Xerox got into the home computing market, several competitors were already established, including Apple. Xerox soon realized how late they were and eventually abandoned the home computing market to focus on other products. The easiest way is through the online ContrAlto emulator. Bear in mind this takes 20-30 seconds to boot and load programs (it really is an emulator, right down to original speed.) 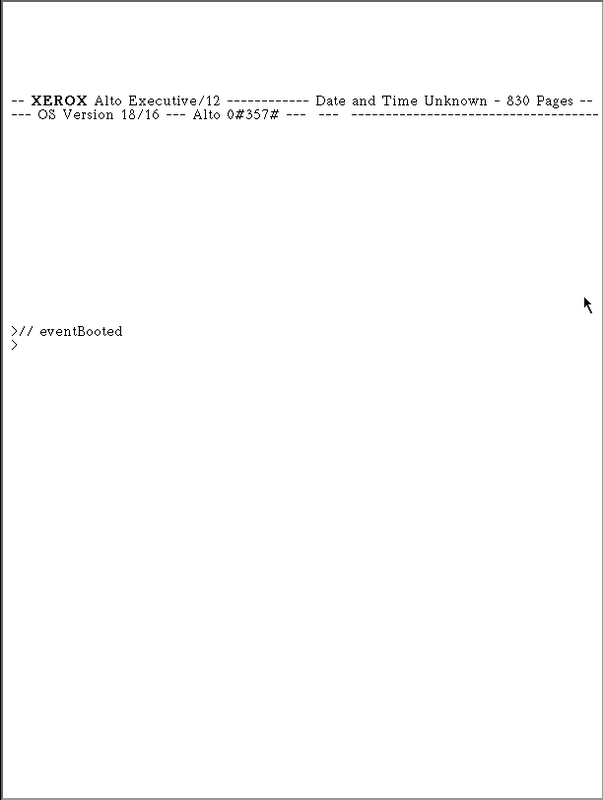 It is buggy on Firefox 66.02, although I haven't tried it on Chrome. This was about as far as I got. You can find a Windows emulator program for Alto here. 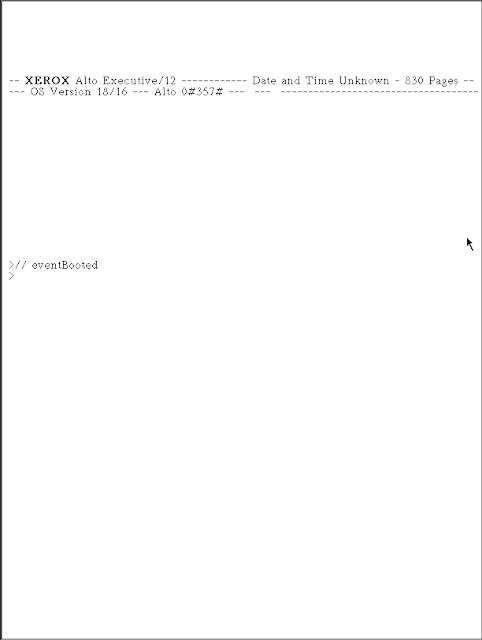 The site also has the C# source code. Another, SALTO, looks more promising to Linux users.